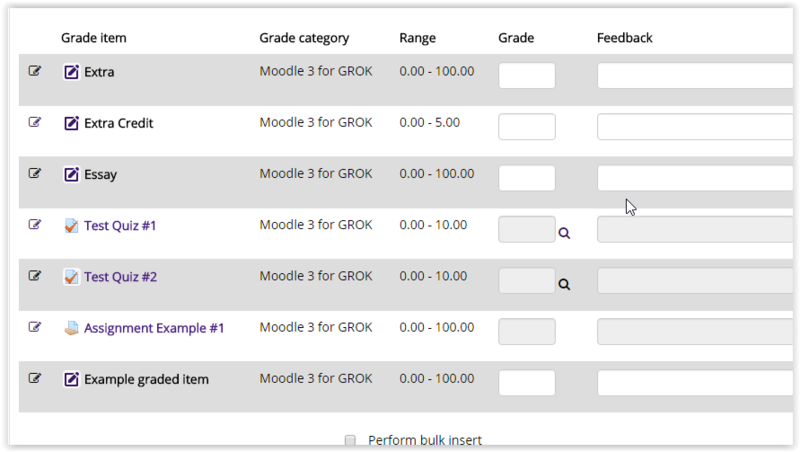 In the gradebook, instructors have the option to quickly edit student's grades by graded item or by user (student) using Single View. 1. Log into Moodle and open your desired course. 2. At the left of your screen, under the Administration block, select Course Administration | Grades. 3. Click on Single view from the drop-down menu at the top of the page. 4. Select the desired user from the Select user... drop-down menu on the right. 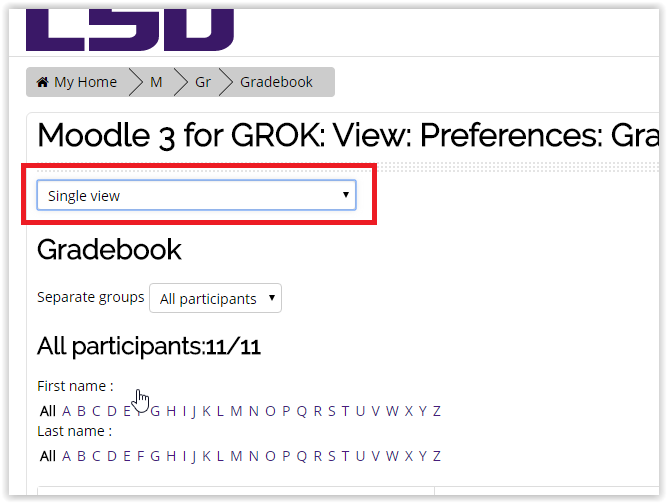 You can enter/edit all of the grades for one student this way. PLEASE NOTE: If you are entering grades with decimal points, you must use a period for the decimal (as opposed to a comma). Using a comma will cause the grade to round down. 5. 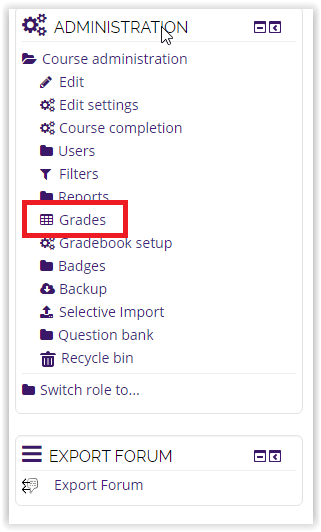 Make the desired changes to the gradebook, and click Save.